New Brunswick-based telecom service provider Xplornet has officially announced its long-awaited wireless telephony brand. 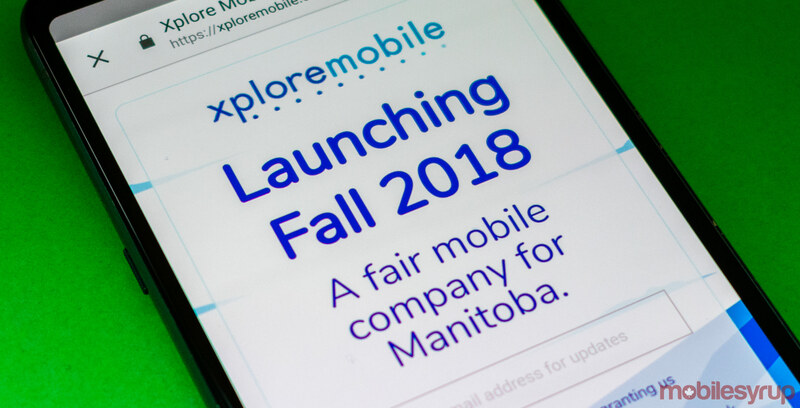 While Xplornet still hasn’t formally announced a launch date for wireless service in the province, the company used an August 1st, 2018 media release to reveal that Xplore Mobile will be switched on sometime during the fall of 2018. The latest announcement is in line with statements made by Xplornet president and CEO Allison Lenehan at the 2018 Canadian Telecom Summit. Potential subscribers will be able to sign up for Xplore Mobile service at six retail stores in Brandon and Winnipeg, Manitoba, and the carrier will offer access to an LTE network. Xplornet has also reportedly invested $100 million in Manitoba, in order to build the Xplore Mobile network. “Xplore Mobile reflects the importance of our heritage and the values we share with the community,” said Lenehan, in the same August 1st media release. When Xplore Mobile does formally launch, it will face stiff competition from Canada’s big three carriers: Bell, Rogers and Telus. Canada’s largest carrier Rogers started the wireless plan arms race, by initially offering $70/20GB and $80/30GB data plans. Bell and Telus then followed suit, unveiling incredibly competitive plans aimed at attracting new subscribers, including 10GB, 15GB, 20GB, 30GB and even 40GB plans. While overall pricing and plan details differed between each carrier, overall plan pricing ranged from $65 to $95, providing Manitobans with some of the most competitively priced wireless plans in the country.